New style crush alert--first there was Jenna, then Solange and of course Julia. Now Tracee Ellis Ross. Tracee is best known for her role on the hit show "Girlfriends"...oh and of course being the daughter of the fabulous Diana Ross. I absolutely adore her personal style. It's offbeat, high-end yet approachable and most importantly effortless. Tres chic! Stay Posh!!! 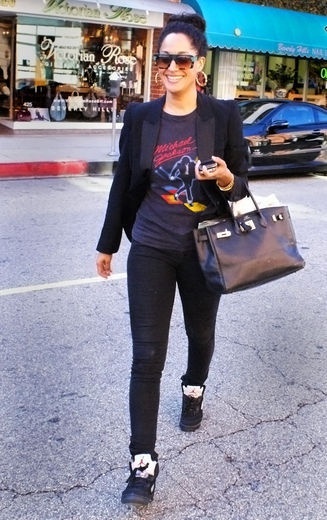 Jordans and a Birkin--Yes please!